This past Saturday we had occasion to stop out and visit Marge Gibson and some of the REGI crew including the newest member of their education team. A baby European Barn Owl. As luck would have it, we had our cameras! The purpose of our trip was actually to bestow our early birthday wishes upon a very special lady, Marge Gibson (Her birthday is today by the way). As she and her team are providing the gift of life and second chances to our wild feathered friends on a daily basis, it seemed only fitting that we take the opportunity to deliver a little happiness in return. The wrapping paper was still on the gift, however, when she turned the tables on us with yet another incredible present. An introduction to "Not Bob"! 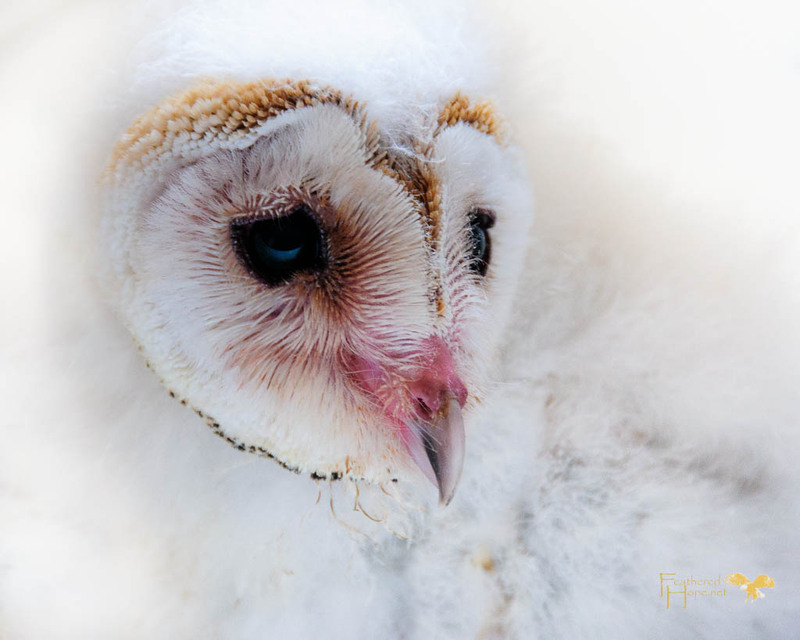 "Not Bob" is a captive bred European Barn Owl who has an incredibly bright future as one of REGI's education birds. We had the absolute honor of enjoying a sit down at Marge's dining room table over a plate of "mouse parts" while the hustle-and-bustle of the REGI scene went on around us. I had an opportunity to share a few quacks with Nelson the (not) Wood Duck from his window seat (shh.. He doesn't realize he's a duck) in between sneaking photos of Lisadawn watching "Not Bob" enthusiastically take in the surroundings. Marge soon recommended we adjourn out to the yard with "Not Bob" to continue our photo shoot "in the wild". 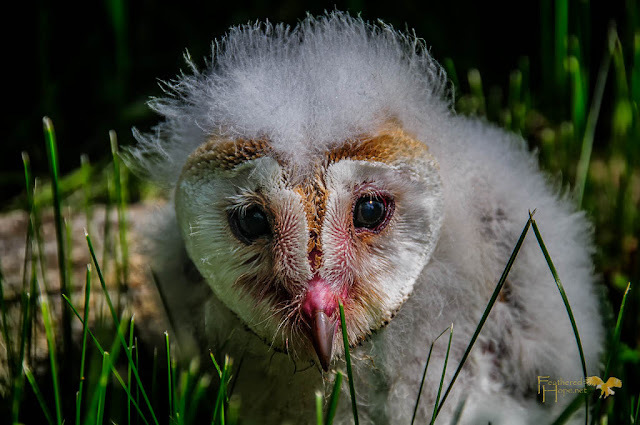 Curiously peering around the blades of grass and snoozing in the afternoon sun, "Not Bob" was just bursting with feathery baby cuteness in front of our cameras. Who's birthday is it again? Read the touching stories behind the images that helped to inspire the creation of the Feathered Hope project. 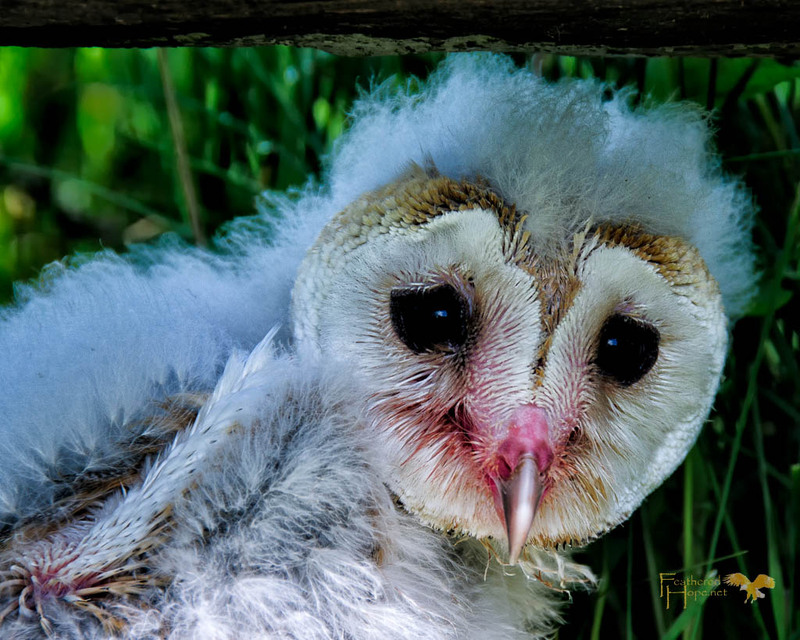 Have questions concerning the Feathered Hope project? Try our Frequently Asked Questions page to see if they've already been answered. Feathered Hope.Net © 2012 | All rights reserved.